An international bestseller and finalist for the prestigious Prix Goncourt; a suspenseful and powerful tale of a tangled love triangle in the shadow of the war on terror. Top Manhattan attorney Sam Tahar seems to have it all: fame, fortune, an enviable marriage to a prominent socialite, and two children. But his charmed life is built on a lie - he isn't the person he pretends to be. Growing up a Tunisian immigrant in a grimy Paris tower block, Samir Tahar seems destined to stay for ever on the margins - until he decides to 'cut through the bars of his social jail cell, even if he had to do it with his teeth'. At law school, he becomes friends with Jewish student Samuel Baron. The two are inseparable until the irresistible Nina, torn between the men, chooses Samuel. Samir flees to America, where he assumes Samuel's identity and background while his former friend remains trapped in a French suburb, a failed writer seething at Samir's overseas triumphs. Decades later, the three meet again and Samir's carefully constructed existence is blown apart, with disastrous consequences. 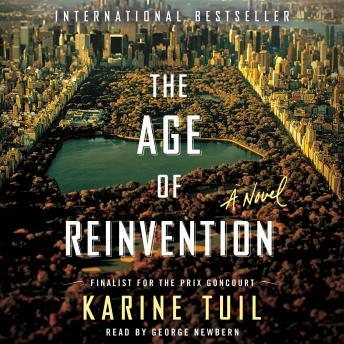 The Age of Reinvention is a smart, captivating story about identity and the tempting possibilities and terrible costs of remaking oneself.